Scottish Indie/ Disco/ Pop band. Last years debut album "Boxing Clever" is still going strong and the band are currently writing a follow up to be recorded in the summer. Recently the band played a gig in Japan, had a track used by ITV Television and this gig will see us play 5 new tracks and be the first time weve played DHC in nearly a year. In Atlanta are a brand new Aberdeen band who despite their years are already causing quite a stir from those whove seen them live. 5 star reviews on local forums and much word of mouth praise already - come and see for yourself what the fuss is all about. 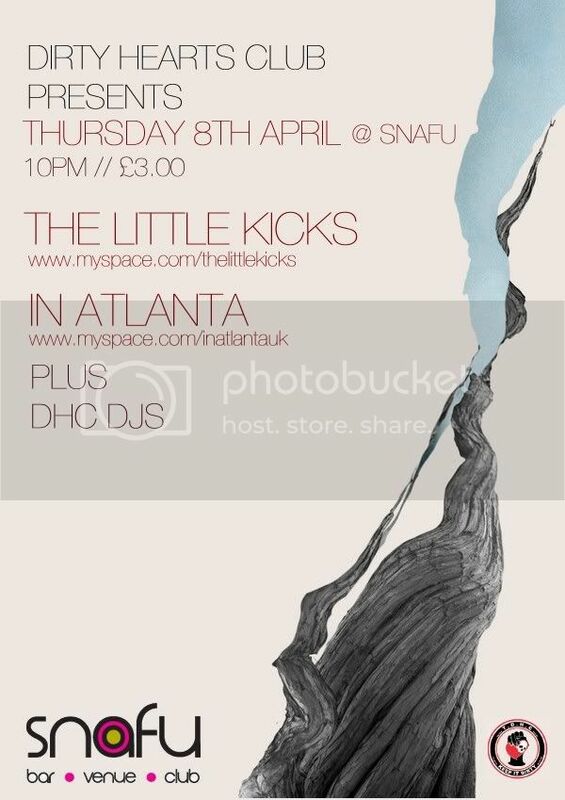 The In Atlanta stuff is sounding absolutely fantastic on Myspace. Where did this band come from all of a sudden?! thanks very much man. we came from boredom really. Ryan and Chris had a heaps of songs from over the years that they wanted to get out, so myself and Greg came along and joined the party! If i'm not doing anything this night I might come along. 2 bands I have yet to see. This one should be a winner folks. The Kiousque agree that tonight is worth a look. Digging this In Atlanta lot.